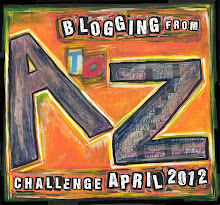 Day 25 of the A-Z Blogging Challenge and the letter Y. 400-word ramble through my thoughts on YouTube advertising. YouTube! Where would we be without YouTube! On-demand, make/publish/choose-your-own-content television. Wow! What more could we ask for? The freedom to create and broadcast our own video content and watch, at our leisure, content created by others. And it’s all free – well, we do have advertising! And the advertisers are trying. Though something that strikes me as a YouTube user – and it surprised me today when I counted 30 playlists on my channel – is that the ad teams haven’t quite figured out the timing. They’re producing way more interesting ads than the standard 30-second in-your-face television commercial, but they are serving long ads (3-4 minutes) too early in the advertiser-audience relationship. They need to promote the long story-type ads. Yup. They need to give us bite-size chunks of the advertiser’s story, in such a way, that we get eager for more information. The way they do it now, they slap a 3 or 4 minute ad in the middle of your playlist, which results in an almost immediate click-over, yet – sometimes the stories are interesting, or the music blends so well with my playlist, I have to check what’s playing because I don’t remember adding it to the list! I discover it’s an ad… but don’t have 3 minutes to watch that when I’m in the middle of doing something else, and using YouTube as the deep resource it is! Hey Google, how about developing that idea and writing the code for that? How about breaking up those 3:00 minute ads in 6 X 30-second chunks, each to be played after X-number user-streaming-hours/minutes. Then throwing in 3×1 minute. Yes, I’m talking about series-style advertising. You have the perfect audience and you have plenty of highly individualized data. Do we even wanna go there? But you have the perfect situation to program the ads so they are less aggressively invasive, always remembering that advertising must be clearly identified as such! Check out some of the Zemanta-fed links, some cool stuff in there, including a guide for musicians.